Fenves, Patterson agree to buyout that's less than his stated guaranteed contract. 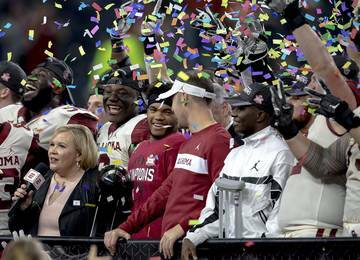 AD was criticized for raising football, men's basketball season ticket prices. Patterson pushed out longtime UT employees he felt were not performing. The instant University of Texas President Gregory L. Fenves moved into The Tower in June, he was swarmed with angry athletic donors. Fenves heard the same thing over and over: Get rid of Steve Patterson. 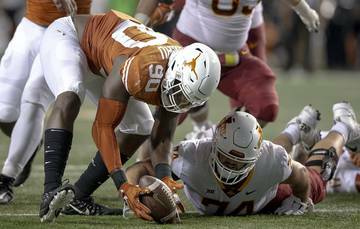 Fenves summoned Patterson to his office at 8:30 a.m. and told Texas’ embattled athletic director he was being fired, the American-Statesman first reported. In a late-day conference call with reporters, Fenves spun the decision as a resignation. Patterson’s attorney Rusty Hardin spent the day negotiating with Fenves, who would not reveal the terms of Patterson’s buyout. “Change is never easy, but I have every confidence that UT Athletics will continue to thrive as it embraces the future,” Patterson said. 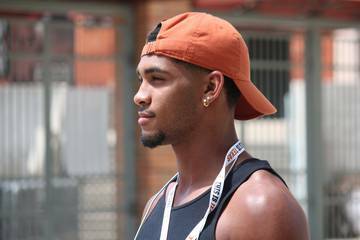 A source familiar with the negotiations said UT will have to pay “less than contract.” Counting this year, Patterson had four years left on a guaranteed deal worth at least $5.6 million. Fenves said the buyout must be approved by the UT System Board of Regents. Fenves tapped Mike Perrin to be the interim AD. Perrin, a Houston-based attorney, played linebacker in the late 1960s for legendary UT coach Darrell Royal. 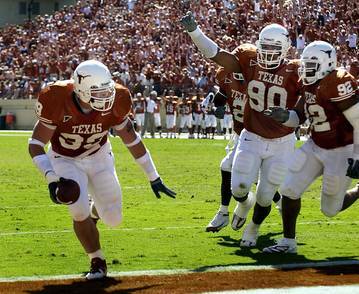 He was inducted into the UT Men’s Hall of Honor in 2010. Perrin, who will receive a one-year contract worth $750,0000, was already in Austin on Tuesday. He’ll be formally introduced at a press conference Wednesday morning. Fenves indicated he is putting off a full search for a new, permanent AD. “I think the near term objective is to make sure the department continues operating at the highest level and we have a smooth transition with the interim AD,” Fenves said. Tuesday’s moves came after a two-month drama that started July 15, when the the American-Statesman first reported Patterson’s job status could be in jeopardy. One source said Fenves had a major decision to make. On one hand, Patterson hired coaches Charlie Strong and Shaka Smart, two decisions widely applauded by UT fans. But he also alienated others with his management style and failure to communicate. Fenves acknowledged fan unrest but would not support the AD. In a statement, Fenves said simply the two were having regular meetings. Three days later, Patterson held a press conference where he didn’t seem concerned. Patterson said he and Fenves had “an excellent working relationship,” verbiage that raised eyebrows in the University administration, according to one source. Fenves did not give any interviews about sports-related topics in August as he dealt with the fallout surrounding the controversial Jefferson Davis statue on campus. But on Sept. 8 during a meeting with the Statesman editorial board, Fenves again declined to support Patterson. “I guess the best way to describe it is I’m working with him and we are continuing to work through the issues,” Fenves said. That same day, the Statesman reported that Patterson had told the Austin Sports Commission the Erwin Center could be remodeled and possibly used for several more years. Fenves appeared caught off guard by this, a UT source close to Fenves said. During his meeting at the Statesman, Fenves reiterated his belief the basketball arena will be torn down to make way for Dell Medical Center expansion. “We can’t have an arena and a medical school on the same land,” Fenves said. 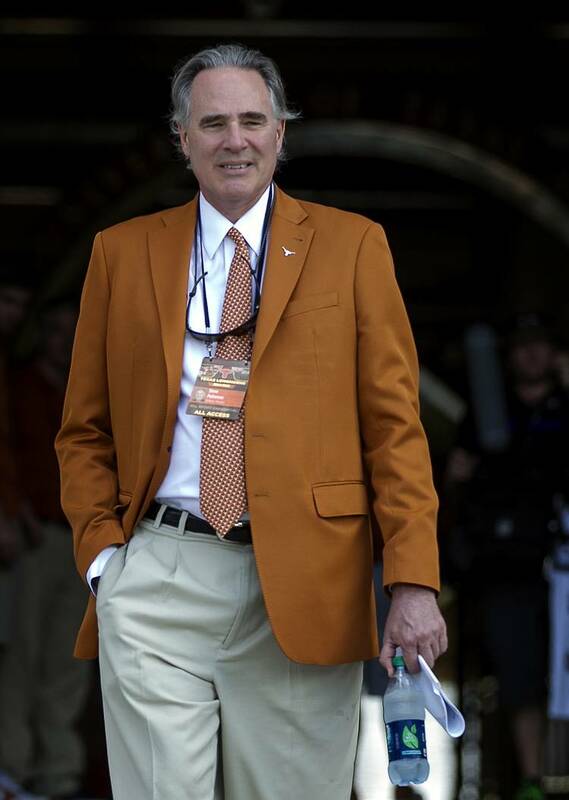 Patterson’s journey back to his alma mater began in October 2013 when former UT President Bill Powers formed a search committee to replace DeLoss Dodds. The former AD retired after 32 years in which Dodds built UT athletics into a financial behemoth. The search committee leaned toward hiring Patterson over then-West Virginia AD Oliver Luck specifically for Patterson’s business acumen, two members of the committee told the Statesman. Powers also pushed for Patterson, who never met him until the interview process began. 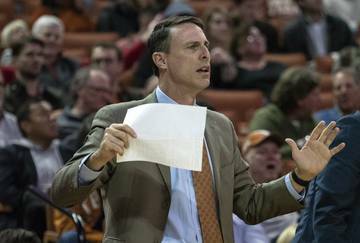 Patterson, who was at Arizona State at the time, became just the seventh AD in Texas athletics history. “It’s a great, life-changing place,” the two-time UT graduate said at his introductory press conference. Patterson made waves early by trying to force through beer and wine sales at Royal-Memorial Stadium with former UT System Chancellor Francisco Cigarroa and Powers. Cigarroa would not sign off on the plan in what UT sources told the Statesman was something of a political show of power against Patterson. If anything, Patterson learned a valuable lesson about navigating UT’s political minefield. Alcohol sales were approved months later under a new chancellor and president, and only after Patterson had everyone sign off on the details. UT fans were stunned in January when the Statesmen reported the athletic department suffered a $2.8 million loss for the 2013-14 fiscal year. It was the first time the department lost money since the 1999-2000 academic cycle. Patterson embarked on a series of revenue-raising moves. He angered football season ticket holders by raising prices an average of 6 percent across the board. Parking also cost extra instead of being folded into the Longhorn Foundation donation, as it had for years. Basketball season ticket holders were stunned to see a 7 percent average increase. Patterson also implemented a stiff ticket resale policy. 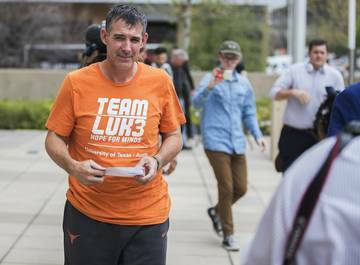 Under the new rules, season ticket holders cannot sell their tickets on the secondary market if they have the grandfathered Longhorn Foundation donation, which is typically a lower amount than what’s required for new buyers. Former Texas AD Steve Patterson had high hopes for football coach Charlie Strong on Aug. 9 during the team’s fan appreciation day. “All the trendlines are good,” he said then. He alienated athletic department employees with a cool demeanor that was a direct opposite of Dodds’ down-home ways. Patterson also forced out those he believed weren’t getting the job done, including fundraiser David Onion and football sports information director John Bianco. 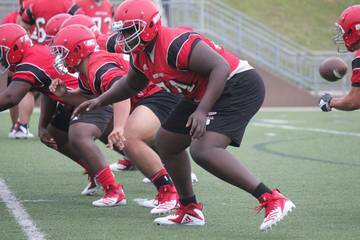 Patterson has been criticized for not settling the Oklahoma State lawsuit involving UT offensive line coach Joe Wickline. The university is not named as a party in the dispute. 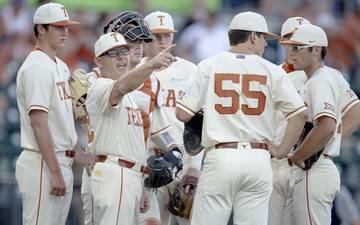 But several UT insiders believe Dodds would have made the case go away by now. The breach-of-contract dispute is scheduled to go to trial in January or February. If Wickline loses the case, he could be forced to pay Oklahoma State officials almost $600,000 in damages. Eventually, public perception so turned against Patterson, he was getting blamed for things he didn’t even do. An Internet-based report indicated Patterson was charging Texas Tech band members for tickets to the game. Two days later — eons in the social media world — UT officials released a statement saying that wasn’t true. The athletic department announced last week that Kevin Mortesen, a former communications chief with IHOP and Applebee’s, had been named its new chief communications officer. He isn’t scheduled to start work until October. The following information is Patterson’s contract with the University of Texas. For a larger version, click here. 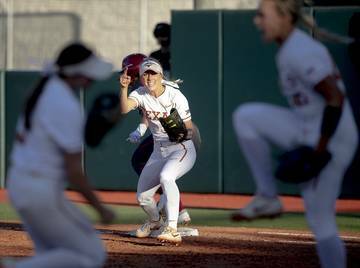 Editor’s note: The original version of this story has been edited to reflect that Patterson has been fired by the University of Texas. 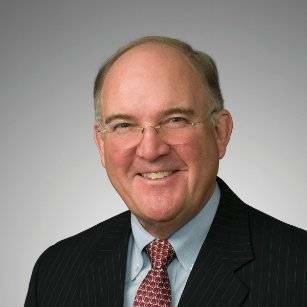 Next story: Who is Mike Perrin, Texas’ interim athletic director? 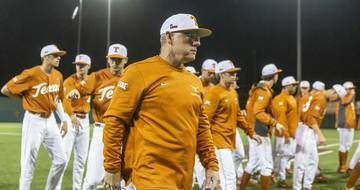 Who is Mike Perrin, Texas’ interim athletic director?